Your impartial advice on sourcing the best diamond based on both quality and budget was hugely appreciated. Moreover, your ability to translate my 'ideas' on what the ring should look like, twinned with your own sympathetic input, based on your extensive experience made for a stunning ring which showcased the beautiful diamond which you sourced for me. Having spent months researching and visiting a plethora of jewellers from the high-street to high-end boutiques, I could not recommend you highly enough above any of these. 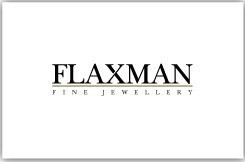 My fiance Fearg and I decided to work with Ed at Flaxman Fine Jewellery after seeing some of the beautifully detailed antique-style rings in the window. From day one, Ed and his team were lovely to deal with; professional and reassuring throughout the process. We designed my engagement ring from scratch. He helped us to source a spectacular GIA certified diamond, for a good price, and worked with us to draw up and design the ring, based on pictures that I'd found online. After the initial conversation around design, Fearg and I were kept in the loop on progress, and we were asked to comment on check points throughout (including a CAD drawing and wax sculpture). This meant that we were constantly reassured that the design was going to be done to our specifications. The ring, when it arrived was beautiful. The detailing around the stone and on the band was lovely, and we were very pleased. However, there were a couple of extra details that we wanted added, which Ed organised without any additional cost, which was fantastic. I now have my engagement ring, and I think it's absolutely perfect. The detail and craftsmanship is amazing! The whole experience in working with Ed and his team has been an absolute pleasure for the both of us. I'd recommend them in a heartbeat, and certainly over any other jeweller that I've ever been to. Buying an engagement ring is such a scary prospect because of all the emotion and the eternal nature of what it represents. You want the ring to be the right look, the right size, to get the right answer to the proposal. Flaxman's took all the nervousness out of the process and made it a genuinely enjoyable activity. They took the time to help me to decide the best overall design, and were incredibly knowledgeable regarding the 4 C's (colour, cut, clarity and carat). They take into account what you want and your budget and work with a select few in the industry to source the best for your money. Ed kept me involved at each step of the development - the most fun part being the decision of which two emerald cut diamonds to place at the centre of the ring! - and worked to very agreeable turnaround times. The ring is absolutely stunning and Verity's face when I proposed to her was a picture of true happiness and mine of relief! Verity and I have become incredibly fond of the whole Flaxman's team because of what they have provided to us - the perfect start to our lives together. It was a natural decision to return to the shop to buy our wedding rings as we trust their expertise and advice unreservedly. We are proud to wear these works of art for the rest of our days. Thank you so much Ed, Richard, and co.